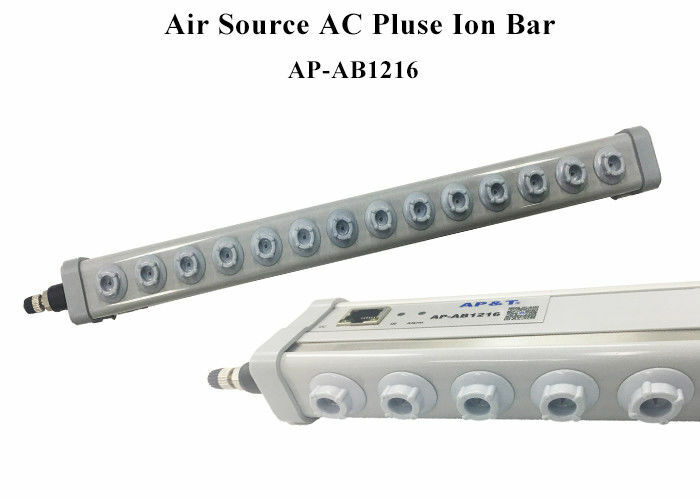 AP-AB1216 Air source AC pulse ion bar is the newest developed bar type static eliminator for static removing. 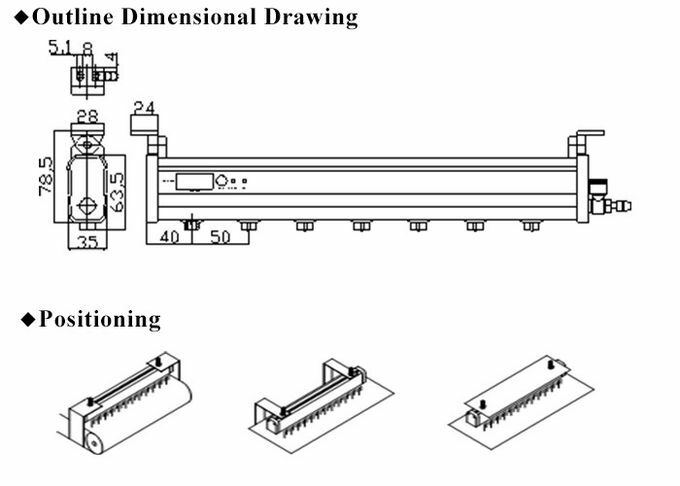 It can be widely used in electronics, plastics, chemicals, printing, textile, optical and other industries. Manufactured by using the latest patented technology of static removing. Fast speed of static removing, low ion balance and high safety. 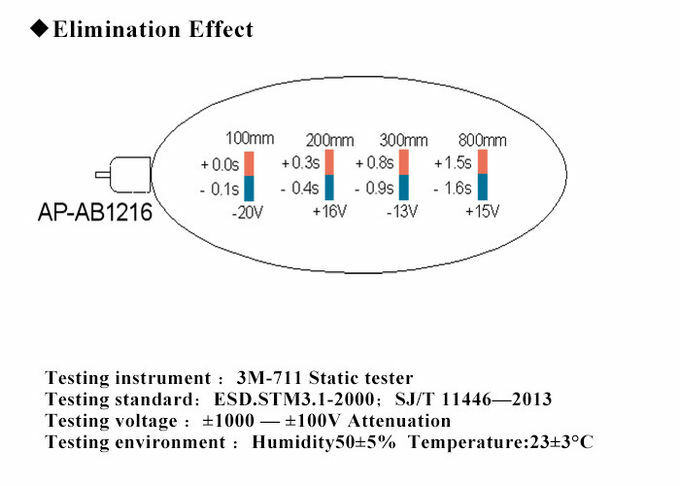 Output voltage adjustable, fit for different static environment. With alarm function of ion volume, electrode tip cleaning and high voltage fault. Read this manual carefully before installing and using of the device. Be sure the device reliable ground connected during use, otherwise may cause bar body burn. Touching of electrode tip during use strictly prohibited. Do not use this device in the environment where the humidity is greater than 75%. It is strictly prohibited to use this equipment in combustible and explosive environment. Choose optimal location for discharge and fix the bar and power supply steadily. Connect earth to earth connect end on ion bar. Insert one end of the power cord into power adapter and the other end into power port. 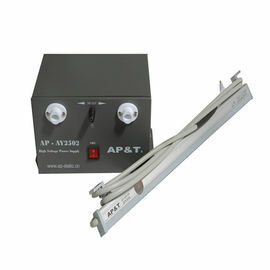 Connect air connector to air supply device with tube and turn on the air switch. Turn on the power switch and adjust proper air pressure.